Every day we see huge number of people who are at the best of their abilities. No matter what, we still feel that if it was me I would have done it better. But my friend, you don't have to be that someone to make it better you can make it much better by being yourself. We observe people around, we admire few out of them, we respect many in them, we imitate one among them but we constantly overlook a person or rather I don't mind in mentioning a personality. Every time s/he is the one whom you have missed; the true and the most worthy admirable celebrity. Thinking of whom? Here's my clue s/he just looks like YOU and me, behaves just like YOU and me, fails to succeed and succeeds to fail certain times just like you and me. But still s/he is always special and close to our heart (open secrets)! Still wondering who? Here's one again. Have a mirror? Don't just peep at it from where you are seated. Make an effort to go, stand in front of it, look into the eyes of the poster standing just in front of you. Yes, The wo/man in the mirror. I know though initially you find it no interesting but don't give up just keep looking into the eyes, you will begin to admire every aspect though there might exist a few flaws but still let your admiration flow. Now answer me. Have you ever seen a wo/man like this before? I BET you would have never. Just unique. All set to fire but needs your support to be triggered. S/he is truly unique has no ego, sincere in deeds, committed to self and honest to others. What more can anyone ask for? We may be blind to the facts of world, deaf enough to hear the truth, sensitive enough to bear responsibility but the wo/man in the mirror is all set to overcome every defect. Teach him/her anything and in return you will be reminded of what you have been missing all these days. Let him/her be the weapon you always wanted, to fight the war of change. Focus on a vision and set him/her on a mission, you will very soon witness a revolution. 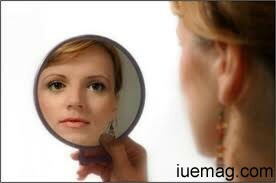 Let it start with the man in the mirror ask him/her to change ways as a result you can see the waves of change. All of us are great, powerful, mighty, multi-talented (if you don't agree please do analyze your syndrome and get it treated) the question is then why are only few people in limelight and not others? My answer is simple they are the people who made successful effort to take their skull and skill to the next level. Life is lived on Levels and the next level is what when you see things beyond our eye sight and believe them consistently. There is light constantly focused upon every one of us but the truly amazing fact is that the switch lies in our efforts not in fate. Each time you see the wo/man in the mirror I know you will start to know him/her better .The more you explore more intensely you explode. Once this starts taking shape you can clearly see the wo/man in the mirror shall reveal you the words of silence and calmness of noise you heard until then. Love the wo/man in the mirror and s/he will live for and in you forever!! Start with the Wo/man in the mirror to see a new start!